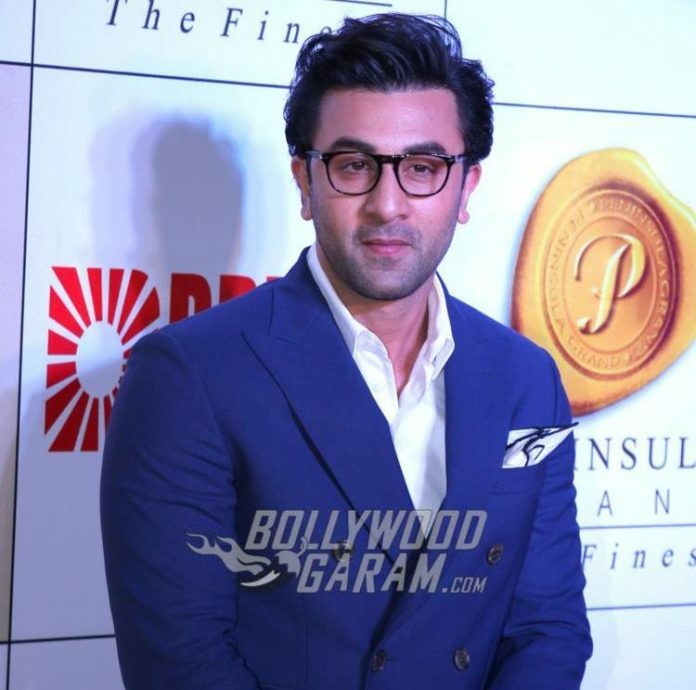 Young Bollywood actor Ranbir Kapoor is shooting for the biopic of Sanjay Dutt. Since Kapoor will be seen playing the titular role, the actor is working hard in terms of his appearance, gestures and acting skills. The actor began shooting for the upcoming movie in January 2017. Ranbir recently visited Sanjay’s house and looked like he had put on some weight to look similar to Dutt. Some of the pictures from the sets of the movie have leaked on the internet and it is evident that Ranbir has actually worked hard for the role and looks pretty similar to Sanjay. The upcoming biopic is directed by Rajkumar Hirani. Ranbir in the recent pictures can be seen on the sets of the movie with long hair, oversized shirt and a jacket. The movie is tentatively titled as ‘Dutt’ and will be on the life of Sanjay’s earlier days, his relation with his father Sunil Dutt, his struggles that include the loss of his mother, his various relationships in Bollywood and more. Actor Paresh Rawal will be seen playing the role of Sunil Dutt while Manisha Koirala will be seen playing the role of his mother, Nargis. Actor Sanjay Dutt has gone through various ups and downs in his life including his jail term, marriages and dealing with kids. The makers of the movie will be trying to cover every aspect of Dutt’s life. The movie also features Sonam Kapoor, Dia Mirza and Anushka Sharma in important roles. Ranbir has not just grown his hair but has also put on some weight to match up with the star. Reports say that Ranbir watched several movies of Sanjay as preparation for the role. Ranbir now indeed started to resemble Sanjay in many ways. The movie is currently under production and is expected to hit theatres during Christmas 2017.